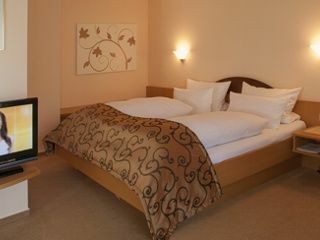 Small, fine 3-star Superior hotel garni, very quiet location, only 150m to the promenade. 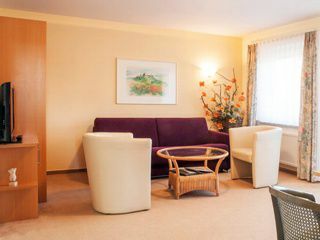 The rooms and apartments are equipped with a lot of love in warm, bright colors. Spacious living with hotel services. Sumptuous gourmet breakfast, sauna, whirlpool, solarium, fitness room, bike rental. MICHELIN BIB-Hotel-Award-for outstanding price-performance ratio. Double from 43 - to 70 € - € per person per night including gourmet breakfast buffet. Garage 7 - € / day. All room including sauna and fitness use. Family rooms and apartments for max. 4-5 persons. Free transfer from / to the station.